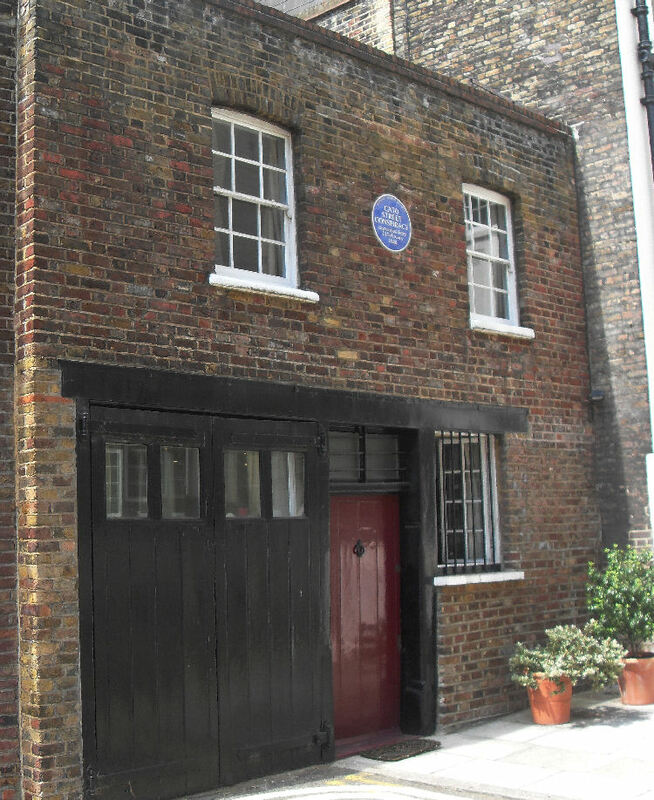 Cato Street today is a pleasant little mews situated a short distance from the very busy Edgware Road. During 1820 this small, two-story building consisted of a stable on the ground floor, and above was a hayloft. It was rented for the headquarters of a group of Spenceans, a society based on the ideas of Thomas Spence, a schoolteacher from Newcastle, who believed amongst other things, that every person should be given an equal size of land. On 23rd February 1820, several members of the British government were going to have dinner at Lord Harrowby's house at 39 Grosvenor Square. Arthur Thistlewood, a 50-year-old ex-soldier and the leader of the Spenceans argued that this was the opportunity they had been waiting for. The plan was to slaughter the British cabinet, including the Duke of Wellington. It was decided that a group of them would gain entry to the house and kill all the government ministers. The heads of Lord Castlereagh and Lord Sidmouth would be placed on poles and taken around the slums of London. One gang member and police spy, George Edwards reviled the plan and Richard Birnie, a magistrate at Bow Street, was put in charge of the operation to arrest the conspirators. Birnie gave orders for Ruthven to carry out the task while he waited outside. Inside the stable, the police found James Ings on guard. He was quickly overcome and George Ruthven led his men up the ladder into the hayloft where the gang was having their meeting. As he entered the loft Ruthven shouted, "We are police officers. Lay down your arms." Arthur Thistlewood and William Davidson raised their swords while some of the other men attempted to load their pistols. One of the police officers, Richard Smithers, moved forward to make the arrests, but Thistlewood stabbed him with his sword. Smithers gasped, "Oh God, I am..." and lost consciousness. Smithers died soon afterwards. George Ruthven led his men up the ladder into the hayloft where the gang was having their meeting. As he entered the loft Ruthven shouted, "We are police officers. Lay down your arms,” a fight broke out with one police officer being stabbed to death. Four of the conspirators, Thistlewood, John Brunt, Robert Adams and John Harrison escaped out of a back window. However, George Edwards had given the police a detailed list of all those involved and the men were soon arrested. On 28th April 1820, Arthur Thistlewood, William Davidson, James Ings, Richard Tidd, and John Brunt were found guilty of high treason and sentenced to death. John Harrison, James Wilson, Richard Bradburn, John Strange and Charles Copper were also found guilty but their original sentence of execution was subsequently commuted to transportation for life. Thistlewood, Davidson, Ings, Tidd and Brunt were executed at Newgate Prison on the 1st May 1820.